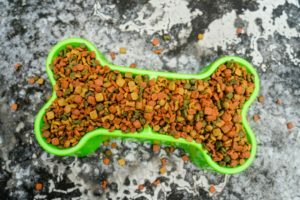 Although many pet owners like to give their dogs or cats “people food” as a treat, it can affect your pet’s health over time and lead to obesity. Overfeeding your pet can lead to the same result. Keeping your pet healthy will make them feel better and live longer. There are different ways to ensure the best health for your pet, from natural treats to regular exercise, but practicing these together is ideal. Recent studies show that over 50% of dogs are obese and close to 60% of cats are obese. Although birds are not typically given treats or “people food,” obesity is their biggest health problem due to the fact that they have a constant food supply. Decreasing a pet’s food intake is not recommended, as it can lead to malnourishment, but a steady balance of eating and exercising is the best way to treat obesity and prevent further weight gain. Older pets (including small animals) are not as active and a change in their diet is often recommended. For dogs and cats, this usually means a diet that is rich in dietary protein and fiber, but low in fat. Younger pets, however, tend to eat more and exercise less after they are neutered, which can change their eating habits and should be addressed before it gets out of hand. Regulating their intake or switching to a lower calorie diet during that time is sometimes recommended, but the best approach is to always consult your veterinarian. Dogs suffering from obesity can become riddled with health conditions and have an average life span that is two years less than a healthy dog. Think about how important those two years can be and consult your veterinarian. If your pet is obese or even slightly overweight, resolving the issue now will make life better for both of you!